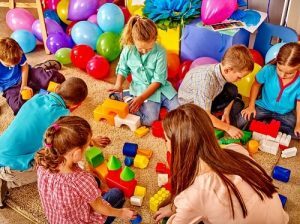 Choosing the best school and toddler program for your little one can be as stressful as applying to college, but it doesn’t have to be. Yes, there are a lot of things to consider and these things can overwhelm you. As a parent, you want what’s best for your child, but how do you decide? Don’t panic, take a deep breath and remember that you are doing this for your little one. Here are some things to consider to help you in your decision making. Does the child need a program that will focus more on their motor skills? Are they aloof or shy and in need of extra care from the educators? Or are they advanced or behind in verbal skills needing challenges to improve? It is expected that classrooms will have children with diverse personalities and learning capacities. However, a preschool environment is designed to be a comfortable setting for toddlers. It’s important to consider this so that you can set your child up for optimum learning. You can ask questions at each school that you are considering so that you’ll be sure that your child’s needs are met. There are so many private preschools available that they make their own rules. To ensure that these schools are right for your child, ask if the teachers have ECE (Early Childhood Education) degrees and have CDA credentials. Also,ask if the school is accredited. It’s also a plus if the classroom teachers and staff are certified in CPR and first aid. Does the school’s educational philosophy matches yours? The bulk of a child’s brain development occurs in their first five years and this is the best time to expose your child to more learning. Teachers have different ways, approaches, and views on educating young minds. Some preschools are completely play-based, while others have lessons for letters and number to prepares kids for kindergarten. There are also schools that have discovery-based programs that don’t only focus on drills and practice skills. The structure is essential, but parents should also look for a school that gives children the opportunity to learn by choice. Parents should also consider the openness between the school and the family in choosing a toddler daycare. It is important that the school welcomes and encourages the family to stop by any time. The program should also include regular feedback on the child’s development in school. Open communication is important for staying updated on your child’s progress. What do you think will be best for your child? This all comes down to learning style and how you prepare them for school at home. A parent’s ultimate goal is to raise their children to be well behaved human beings with proper traits and discipline. While kids are young, it’s the perfect time to instill in them the values you want them to have. This is another important factor to consider in choosing the right preschool for your young one. Ask the school how they deal with child behavior. Ask them how they deal with conflict if it arises in the classroom. It’s important that you agree with the preschool’s disciplinary action and their approach to correcting children. What is the school’s nutrition policy? This is another factor to consider in you search. Children can be greatly influenced by their peers at this age. If other kids like to eat fruit, your child will probably also grow to love eating fruit. This goes both ways, too, and they may be negatively influenced. Ask the school if they provide healthy lunches and r snacks, or do you need to prepare their meals at home. If the school provides meals , ask them what they typically serve. Make sure to voice concerns if your child has food allergies, too. Does the preschool’s time fit into your schedule? Can you drop your child off at the neighborhood daycare or is on the way to your office? Are you looking for a half-day program or do you prefer a full-day one? Generally, schools go for 5 days a week, depending on a child’s age and the school itself. Some programs allow extended pick up times for those who have to work late. Last but not the least, safety is, of course, the number one thing you should look at when you are choosing a preschool. How does the school ensure a child’s safety? How do they keep track of the pickups after school? How do they respond to accidents when they happen? These are some basic things that you should ask if you are looking for a safe school environment. Attending preschool or toddler daycare will prepare your child for kindergarten. So it is important to carefully choose the school they’ll attend. Consider all of the options and pick the one that is best using the tips above to guide you. It sure was nice that you pointed out the importance of finding out how the school that you’re interested in can ensure the safety of the children that are under their care. My plan is to find a preschool for my son. He’s a very playful child, and I can’t help but worry about him when I’m not around. It’s important for me to find a preschool that I can trust to make sure that my child can avoid injuries while under their supervision. I’m hoping to enroll my daughter in a preschool soon, and finding a place that has the proper credentials really is important. Your suggestions to look for ECE degrees in the teachers, as well as CDA credentials, is a great tip for finding the most qualified educators in the area. My daughter is very bright and I really want her to have an academically stimulating atmosphere for her pre-k years, so finding a place that carries the philosophy of encouraging discovery and academic learning beyond just play is definitely something I’ll check for, as you suggest. My wife and I are looking for a preschool for our son, so thanks for sharing this. I like your point about choosing a school that us convenient and allows extended pick up times. We’ll be sure to ask about scheduling so we know if we can pick him up on time or not.